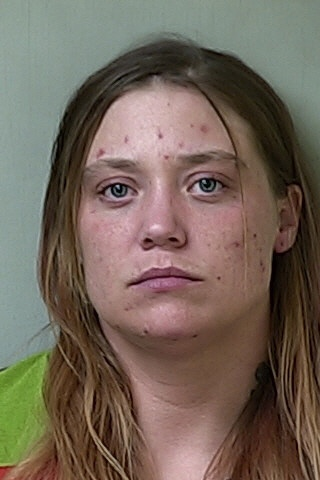 Ashley Diane Hoath was arrested in con­nection with the death of Jeremy Barron. After a week of DNA testing, inter­views, and inves­ti­ga­tions, author­ities said they arrested a man and a woman on Sunday believed to be respon­sible for the recent murder and dis­posal of a Hillsdale man’s body. 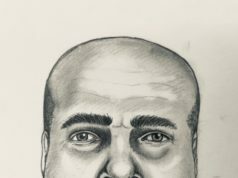 Police iden­tified the sus­pects in Jeremy Barron’s death as Jay Scott Clark, 40, of Bryan, Ohio, and Ashley Diane Hoath, 27, of Hillsdale. A group of Amish boys riding their horses through the woods near the inter­section of Dimmers Road and Gilmore Road in southern Hillsdale County dis­covered Barron’s body on April 2, and con­tacted the sheriff’s department. According to a press release, Clark is being held in prison and faces numerous charges including homicide-open murder, car­rying away/disposing of corpse, felon in pos­session of a firearm, con­cealing the death of an indi­vidual, and pos­session of metham­phet­amine. Hoath is being held as an accessory after the fact to homicide-open murder as well as lying to the police in a criminal inves­ti­gation. Hillsdale County court doc­u­ments obtained by The Col­legian show that Barron was killed by a .45 caliber revolver. 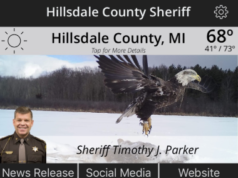 According to records from Mitchell Research Center, the latest murder in Hillsdale County was in October 2009 when James McK­inney shot and killed James Harper in Jef­ferson Township. McK­inney was sen­tenced to life in prison. Hillsdale County’s chief assistant pros­e­cuting attorney Megan Stiverson said during a public press con­ference on Monday that she hopes Clark and Hoath will be found guilty. Hoath lives close to downtown Hillsdale. Her apartment, located off of Cherry Tree Lane, is less than two miles from Hillsdale College’s campus. Neighbors in Hoath’s complex said they fre­quently saw Clark. Crystal Ewers has lived in the apartment complex for more than three years, and has lived right next door to Hoath for the last couple months. Ewers said she thought the two sus­pects were close. According to court doc­u­ments, she also worked at the Burger King in Hillsdale. Brian Palmer, Hoath’s manager at the Burger King, said she only worked there for the ten days prior to her arrest Sunday. Palmer said despite her being their for a little over a week, she was a decent employee minus occa­sional tar­diness for her shifts. 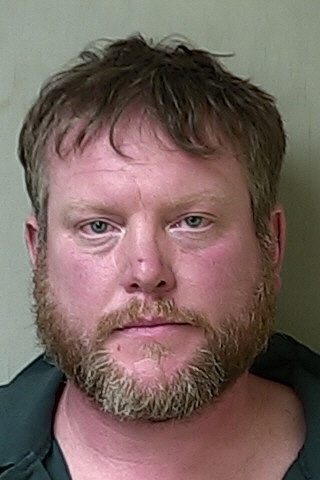 Sheriff Parker said that there will be a probable cause hearing on April 19 and a pre­lim­inary exam­i­nation hearing on April 26 for both Clark and Ashley Hoth. Parker said he was proud of his staff’s diligent efforts.